January is always associated with new beginnings simply by being the first month in our current calendar. So we go with the flow. 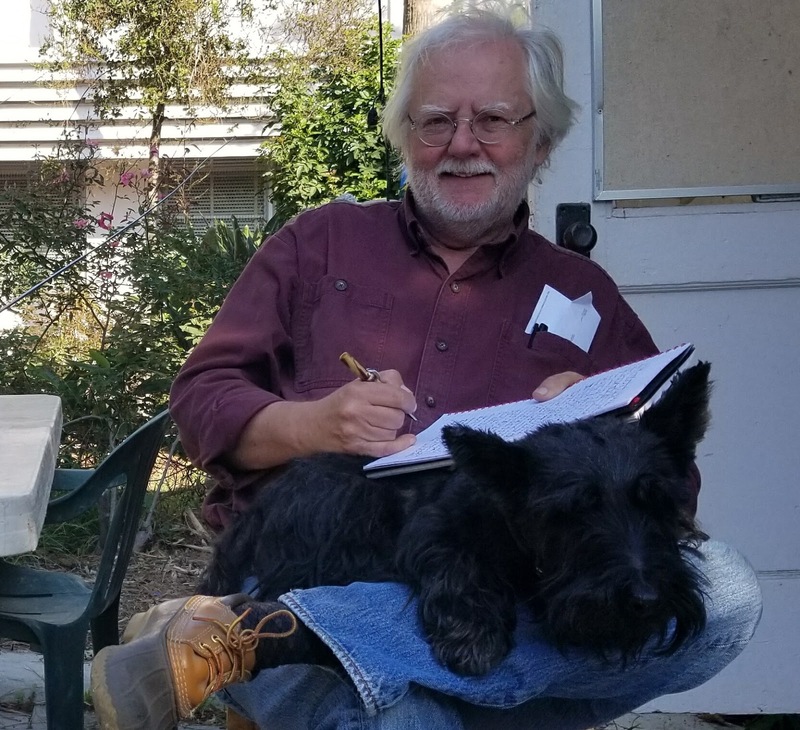 Most gardeners the world over are stuck inside looking at seed catalogs – which conventionally arrive about now – because the ground is frozen solid or at least cold enough to kill almost every seedling for a few more months! 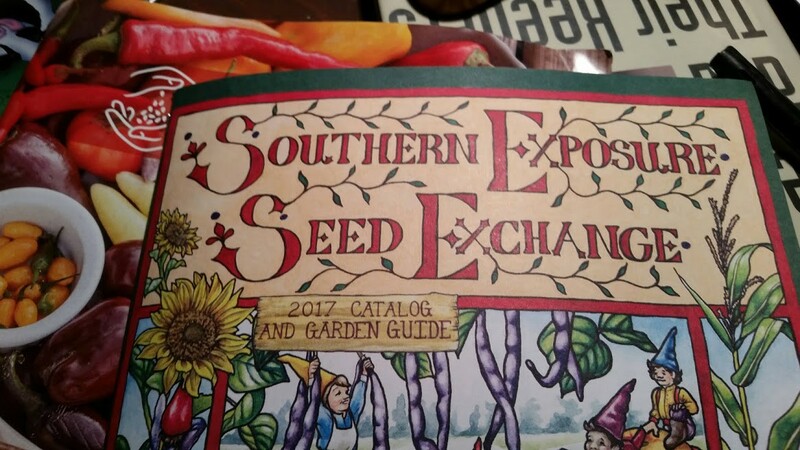 Having been raised in the mid-West, I have sat by the fire with a stack of seed catalogs next to me and proceeded to create orders of hundreds of seeds which, of course, Grandpa never ordered (he saved most of his own seeds and ordered parsimoniously – he lived on Social Security and whatever he could sell from his three acre garden. His bottom line and my expensive orders didn't mix. 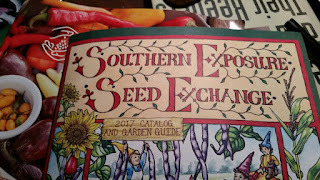 However, the seed companies trained me well for as soon as I was in charge of my own finances, I have ordered too many seeds annually with regular precision! (On a side note: I need carrots for an upcoming workshop and after trying four times to get my carrot seed to sprout, I looked at the package and it was completely out of date. Take it from me, having learned it yet again, carrot seed isn't worth its weight in dust after 18 months. So I took to my catalogs. 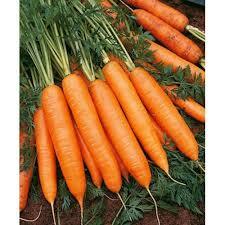 I ended up ordering Nantes Carrots from Pinetree Garden Seeds, of whom I've written before. Let me tell you, I have NEVER gotten a seed order this fast in my life! I'm thinking they've hired a clairvoyant and knew the order was coming two days before I ordered it. If I ever need something fast every again, you can guess who I'll be dealing with! Kudos to Pinetree Garden Seed!) And as I've noted before, their packages are the best sized for us without forty feet rows. The selection is great as well. usable, and one of my reasons for choosing this variety. But in Southern California, we just keep on trucking, all year round! Not only do we have some of the finest soils in the world, we have weather that allows us to grow much more variety than most of the rest of the planet! I am complaining about my carrots (above), but in what percent of the United States does one get to make that complaint in January? It's amazing what we can do here. 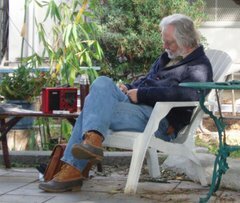 In January, as a part of a year long quest for knowledge, I want us all to consider on how we can limit fertilizers in our gardens. 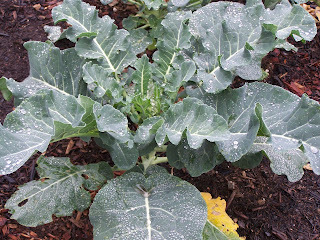 Most of the fertilizers we put down on the ground are wasted. Sometimes that's because the way we applied them was faulty or improper; sometimes it's because the soil already has enough of that fertilizer and cannot use anymore; sometimes it's because we diagnose our plants' problems improperly. 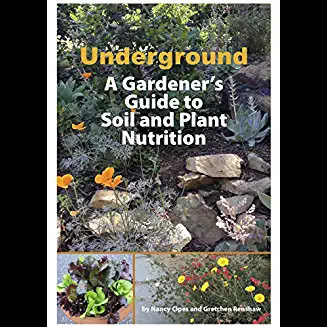 In Southern California, especially in Los Angeles county, the part of California I am most used to, I would easily bet that your soil has enough of all nutrients to grow plants except Nitrogen. This is true for a lot of California soils. You will have to supply Nitrogen to your plants. I don't use fertilizers at all. But I have to be certain my plants have Nitrogen to grow. How do I get those two ends to meet? Before explaining that, note this: science considers Nitrogen, Phosphorus and Potassium to be the three “Macro-elements” that are in the most demand by the plant for growth. We know we are missing N (the symbol for Nitrogen) without even looking for it because most California Flora are adapted to live in soils without N – if the plants needed N, the soils they would be the dominant species would have lots of N. Our soils don't. The lesson is clear and you don't have to be a clairvoyant to figure that out – just do a thorough inventory of what is there! But our veggies are not from California and they have evolved not only use Nitrogen, but lots of it . Most of the other minerals science says we need to grow good plants are found in good supply in our soils. Now, I know that's a huge generalization, and it doesn't substitute for a soil test, but that would be my assumption until proven wrong. In my garden, we do not use Nitrogen fertilizer. Yet our plants are supplied with enough N to perform. We made this happen by planting plants that are said to “fix” atmospheric Nitrogen in a way that makes that N available to plant roots. These are crops from the different bean and pea families and we grow a lot of them. If I were growing my own garden, I would love to have pathways of clover, which also fix Nitrogen. This N, done the way nature does things, is in good supply in our soils. Nitrogen from commercial endeavors is frequently gassed off into the atmosphere serving our plants very little and putting more carbon in the air. However, if we use peas and beans we are sequestering that in the soil – which, by the way, is where it should be! While this true for Nitrogen, Phosphorus and Potassium are not a part of the atmosphere and so do not present that kind of problem. However, they are usually found in our soils with abundance. Don't add more to what is there already. Again, these are broad generalizations, it comes from Southern California and it is based on my experience. A soil test is the only way to tell absolutely what is in your soil. At one point, my garden was tested (a long time ago) and so I know I'm right, but this is my overall recommendation until you do get a soil test. Ideally, for our Nitrogen fix, we would grow beans and when done, cut them off at the soil surface, leaving the roots in the soil to decompose, but, while that does give one more Nitrogen, I don't often do it, because I'm ready plant something else there already and I can't wait. You will still get N in the soil, not just as much. Don't make yourself nuts trying sequester ALL the N in the soil, it's not worth it. Get some in and keep getting some in. One big ol' Exception to the rule of Nitrogen: Tomatoes do not produce well with lots of Nitrogen in the soil! Do not follow beans or peas or any other N fixing plant with Tomatoes. For some reason they plants will grow and grow until the Nitrogen is used up. Then they will finally set flowers and begin to make tomatoes, but not until then!